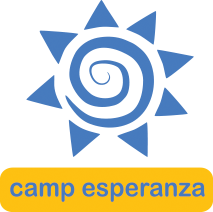 Camp Esperanza has 140 camper slots available for camp each summer. We have a clearly defined set of eligibility requirements. The medical director and team go through a very specific process to select all 140 campers. 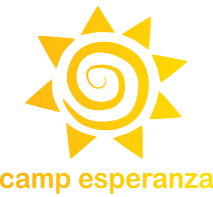 Camp Esperanza campers must be current patients at Children’s Medical Center Dallas and are between the ages of six and fifteen. The campers have been treated for or have received radiation therapy, chemotherapy, and/or a bone marrow transplant. Camp Esperanza also offers a pee-wee day which takes place the Wednesday at camp. These pee-wee campers are selected by the child-life specialist at Children’s Medical Center. Camp Esperanza includes a full medical staff to provide care to your child during their week at camp. The medical staff includes 2-3 oncologists, 4-5 oncology nurses, a child life specialist, and a social worker. The medical building is state of the art. Due to this, the medical team is able to deliver all the care that can be given in our oncology clinic while your child is at camp. Therefore, your children are able to have fun at camp but also receive all the medications and monitoring needed to keep them safe. Aside from their normal duties, the medical staff also participates in many of the camp activities such as theme night, skit night and cook outs. Your child will love seeing them zipping around camp in decorated golf carts ready to give someone a helping hand or on stage at skit night giving a top notch, hilarious performance. Camp Esperanza’s medical staff will not only give your children the care they need by applying their expertise in every detail related to their care. They will also show their spirit of camp and happily join in when it’s time to play. Woo Hoo! No doubt sending a child to camp can be a tough decision. Add in a sick child and you could easily find ways to keep them home, safe and sound. To address this concern, we assure you that Camp Esperanza follows strict procedures while considering and recruiting all volunteers. This includes background checks, extensive training and orientation formats, more training and orientation and yep, even more training. The minute your child steps on the bus headed for camp, we have in place extremely well-trained and qualified volunteers to oversee not only their transportation to and from camp but also to provide high-level supervision while at camp. Our cabin ratio, fourteen kids to six adult counselors, is perfect for offering each child the attention and supervision they’ll need. We’ve worked hard to fine tune the safety measures required while your child is in our care and lean also on Camp John Marc’s expert staff to guide and help us along the way. Bottom line, we’ve done our homework and we assure you, your child is in good hands. Now go plan a relaxing week for yourself while we have an incredibly fun week with your child. Tt’s a great experience for the child to attend Camp Esperanza. The children have fun and they don’t need to worry about being at the hospital. ust do it!!! It’s harder on you than them. They love it! It’s a chance for them to be (feel) normal and have fun! I have watched her grow from the first camp. The best part is knowing you guys have showed her that there is life outside of her cancer. Thank you.Crazy! Awesome! Super funny! I had the time of my life at the Disco Party! Very cool!